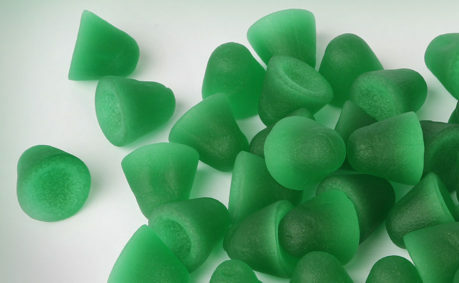 Pastilles or gummies are deposited forms of pharmaceutics, generally made from gelatin or gum arabic. Alternatively pectin, agar-agar and carrageenan can be used as gelling agents. 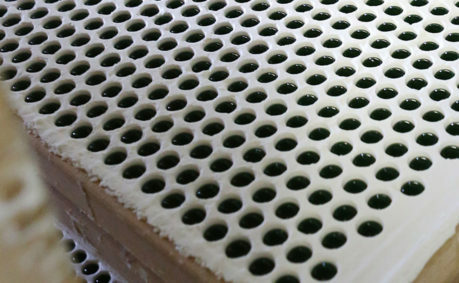 In terms of texture and consistency pastilles can be produced from very soft to relatively hard, depending on raw materials and drying parameters. Nevertheless pastilles/gummies can be either with sugar or sugar free. 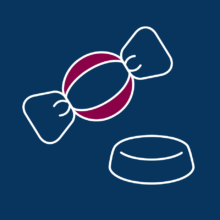 DISCH is currently manufacturing both, pastilles and gummies with sugar and without sugar in numerous shapes, formulations and packaging types. Using state-of-the-art mogul technology, including efficient moulding technology as well as special air-circulation drying rooms, high variety of lozenges can be produced meeting customer requirements. Liquid syrup is deposited into previously formed starch moulds and will then obtain the final consistency in a drying step. After the separation the cleaned and monitored pastilles are either coated with glazing agents or sugar. For pharmaceuticals the validated production process is designed to dose active ingredients meeting standard requirements in terms of average mass and uniformity of content.